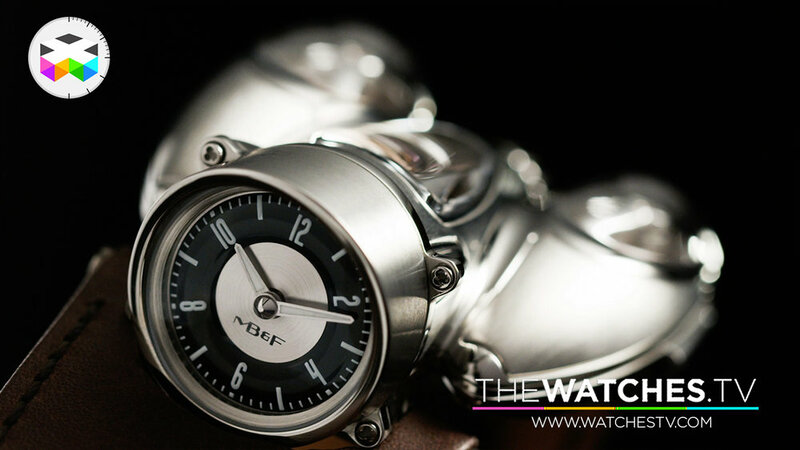 Always exciting to see MB&F introduce a new timepiece, because we know from the start that we will be in for something special and audacious. 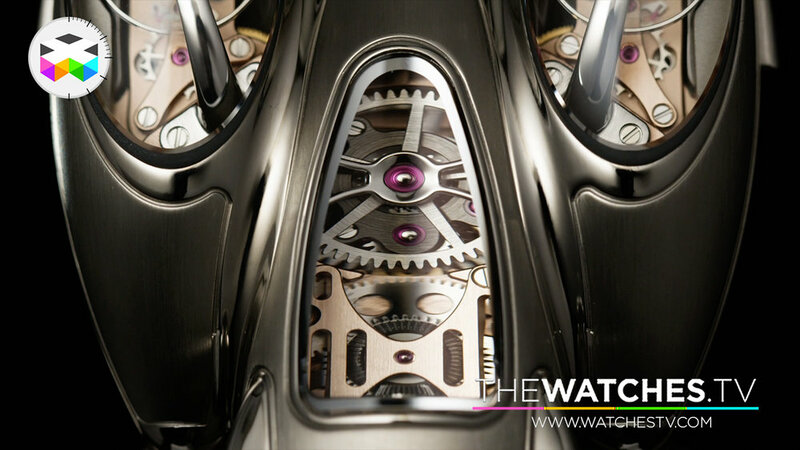 Well the Horological Machine N°9 by Max Busser and his team will in this case not disappoint as it looks pretty crazy, both in terms of design and mechanics. 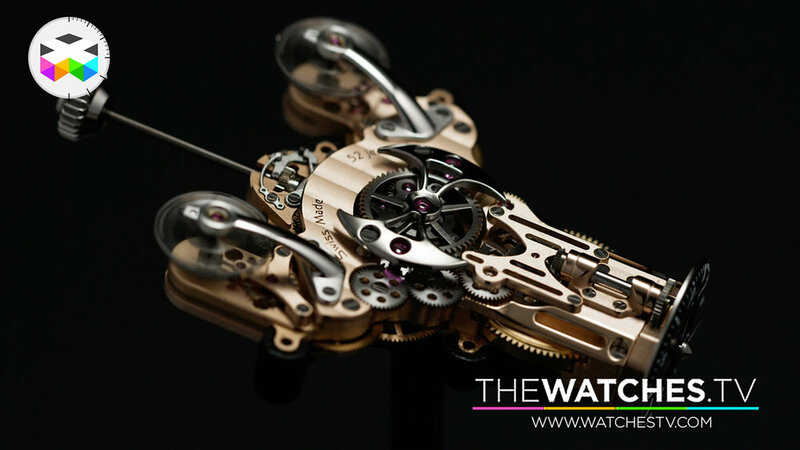 The design is inspired by 1940s and 50s aerodynamics seen on those fantastic cars and planes and on the movement side, you will easily notice the two flying balance wheels looking like the reactors of a 28th century spaceship!! 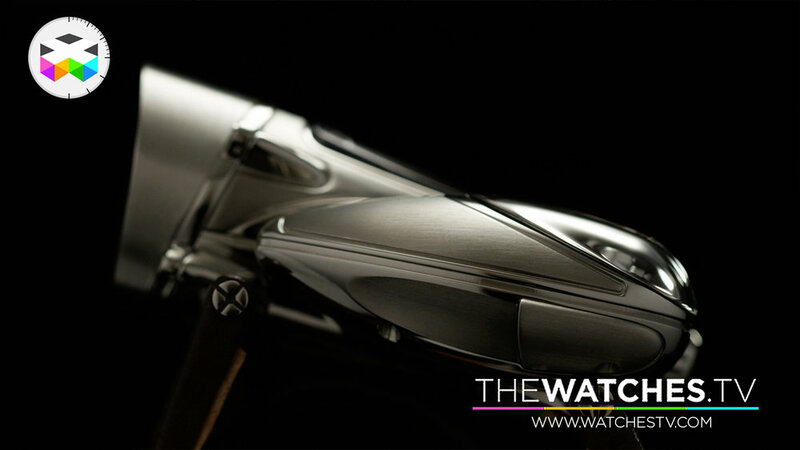 Find out more in this video and don't be shy of telling what you think, not only about the timepiece itself, but also about the general MB&F approach.